The leek plant, scientific name Allium ampeloprasum var. porrum (L.), is a vegetable that belongs to the family Amaryllidaceae, and subfamily Allioideae, along with garlic and onion. Kurrat and elephant garlic are two related vegetables that are also variant subspecies of leek, although they have different food use. The plant's edible part is the stalk or stem, which is primarily a bundle leaf sheath. Leeks are a hardy biennial that is grown as an annual. Allium ampeloprasum has a thick white stalk that is topped with fanning, deed-green, and strap-like leaves. It has a milder flavor compared to other members of the onion family. The long cylinder of bundled leaf sheaths that are normally blanched by trenching, or by pushing soil around them. Leeks are often sold as tiny seedlings in flats that are grown early in greenhouses, and then transplanted outdoors once weather permits. The cultivars of leeks are subdivided in numerous ways, the most common types include summer leeks and overwintering leeks. The summer leeks are smaller than the latter, and intended for harvest in the same season that it was planted. The overwintering types are strongly flavored, and include the varieties Tadorna blue and King Richard. Frequently grown varieties include Carina (150 days to harvest); Primor (135 days); Unique (100 days); Broad London (130 days); Arkansas (108 days); American Flag (120 days); and Blue Solaize (145 days). Leeks grow well in locations that have full sun, though they can tolerate partial shade. The soil should be well-drained and organically rich. Prepare the planting bed prior to planting for best results: dig the site, remove weeds and work in lots of well-rotted manure and an all purpose fertilizer to improve the soils nutrition levels and its ability to retain water. Although leeks can be planted in heavy soil, drainage should be improved by mixing in horticultural sand. 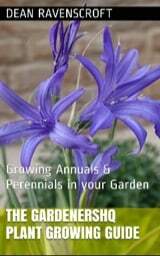 Leeks are a heavy feeder, and therefore spreading a balanced fertilizer in the soil two to three weeks before sowing is highly advisable. Leeks grow best in temperatures between 45 to 85°F (7–29°C) and are usually grown from transplants due to the long growing season. Leek seeds should first be sown indoors about eight weeks in advance in the early spring, and the seedlings transplanted outdoors four to six weeks prior to the last average frost date, when they are about three inches tall. It is recommended that they are hardened in a cold frame before being transplanted to their final location. Leeks can also be transplanted into the garden in autumn or late winter in mild winter climates, although they can also tolerate warm temperatures. Transplants are best grown 3 to 4 inches (7–10 cm) apart in rows spaced about 12 inches (30 cm) apart; a row of about 4 to 6 feet (120–180 cm) is usually adequate for most people's needs. Use the corner of the rake to create a shallow groove in the soil at the bottom of a 12 inch (30 cm) deep trench that is about half to three-quarters of an inch (1–2 cm) deep, sow the leek seeds thinly along the bottom of the trench, then carefully cover with soil, and water well. Thin the plants once seedlings have three leaves, which is normally four to five weeks later. Preparing Leeks at the table by Karen and Brad Emerson. Leeks compete poorly with weeds, so they should be carefully removed. Always keep the soil weed-free (be careful not to damage the shallow leek roots) and keep the Leek plants well-watered, especially during dry seasons (water about every seven days to a depth of about 18 inches (45 cm). As the leeks grow in the trench, soil should be pulled in to cover the growing plant and allow blanching of the stem. Do not bury the point where the leaf attaches to the stem. Sandy mulch can also be used in blanching stalks. Leeks are fairly hungry plants, so side-dress with a high nitrogen fertilizer at the end of May, or the start of June. Mulching in midseason can help retain the soil moisture over the summer. Avoid mulching higher than the leaf junction to prevent soil from lodging in the stem and leaves. When the weather is cold or is near freezing, add straws above the plants. Cut off the top half of the leaves to promote full stalk growth. To get the best out of this plant, it can be planted with onions and garlic, or try growing celery, and carrots as companion plants. Onion thrips are pests that can attack leeks during dry seasons. They can be removed by spraying water at the infected area. 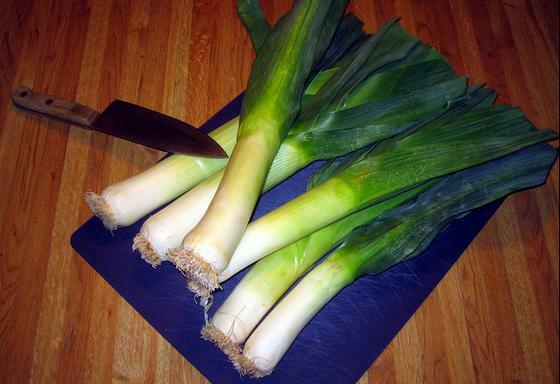 There are no serious diseases or problems for leeks. Although leeks can be ready for harvesting as early as sixty days after planting, a more usual time is about 170 days after sowing, or 80 days from transplanting. When the stems are one to two inches in diameter, and leaves are six to eight inches tall, the plants will be ready. They can be harvested by simply pulling them out of the ground, though it may be a lot easier to harvest leeks by digging them out of the ground, as they will have developed quite long roots. Leeks should be kept in the garden until they are to be used (they can be over-wintered in the garden). 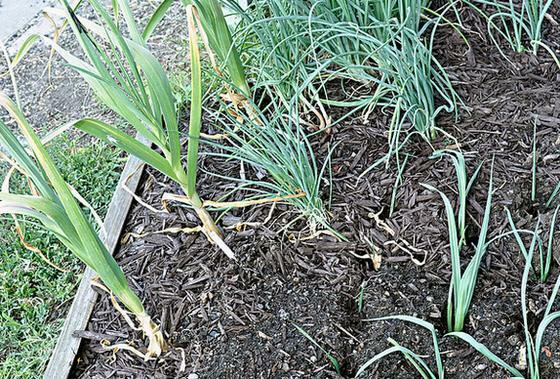 It is best to supply 'garden-stored' leeks a mulch, and to hill up the soil around them. Once harvested, cut off the roots and green leaves from the leek. Plants can be stored in the refrigerator for about a week, and will last for two to three months when stored in a cold, moist place. UMD Leek Guide; Leeks, onion and Garlic, Wiki; BBC gardening basics: Leeks.